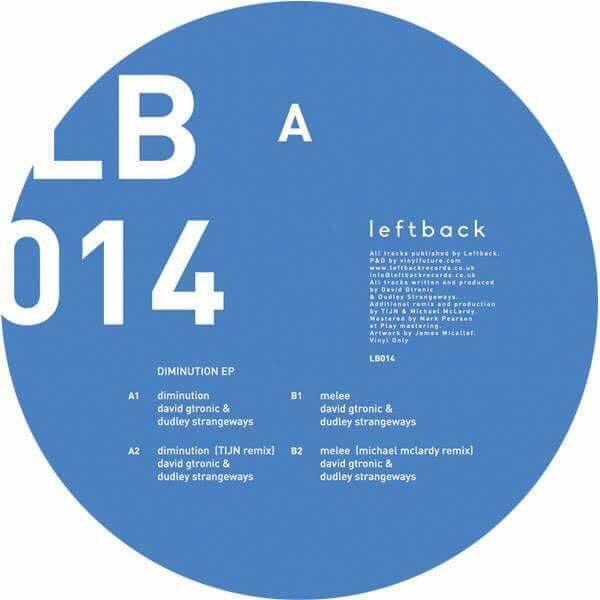 Dudley Strangeways & Michael McLardy’s Leftback imprint has long been a reputable source of discerning house and techno. 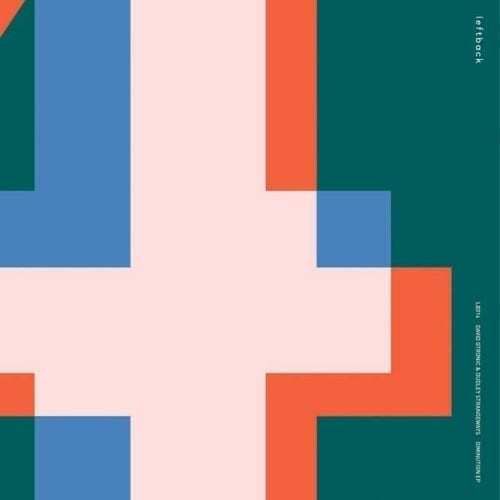 On their latest, they remind us just why they’ve become such a trusted label, with their 14th vinyl-only release emphasising the fact with some aplomb. A collaborative effort between label head Dudley Strangeways and prolific German producer David GTronic, the Diminuation EP is a potent reminder of both producer’s talents and is a typically eclectic listen to boot. Opening up the release is the sounds of the title track. A fast-paced, albeit relatively minimal effort, it’s made up of few parts but still commands the listener’s attention courtesy of its many oddball motifs and an underlying baseline that really provides a spark. A delicate yet intricate track, it’s the sort of weapon that will brilliantly bridge the point between the night’s more down tempo and peak time moments. TIJN then comes correct on the remix tip with a brilliant remix of the latter. The British producer has been seen his work crop up on a host of esteemed labels recently, and this effort is another that’ll slide neatly into an already impressive discography. More frantic than the original, it calls on its charming melodies to produce an ethereal, hypnotic track that will work wonders on a large system. The B side then kicks off with “Melee”, a delicate track that’s imbued with gentle, sun-kissed motifs from the off. Reminiscent of classic Mathew Jonson tracks, it’s nothing if not an intriguing antidote to matters elsewhere. Culminating the package is the sounds of label boss Michael McLardy, who perks up with a slamming remix of “Melee”. Drawing on the original’s emotive sound, he whips the intensity up several notches and leaves us with a track that’s notable for its ability to slide into any part of a set. Filled with a range of emotions, it handily emphasises all that’s great about this release. Top work all round, we’re sure you’ll agree.